Pygmy date palm (Phoenix roebelenii): growing, planting, caring. Phoenix roebelenii is a small to medium-sized, slow-growing slender tree growing to 2 metres (6. ft) tall, rarely more. 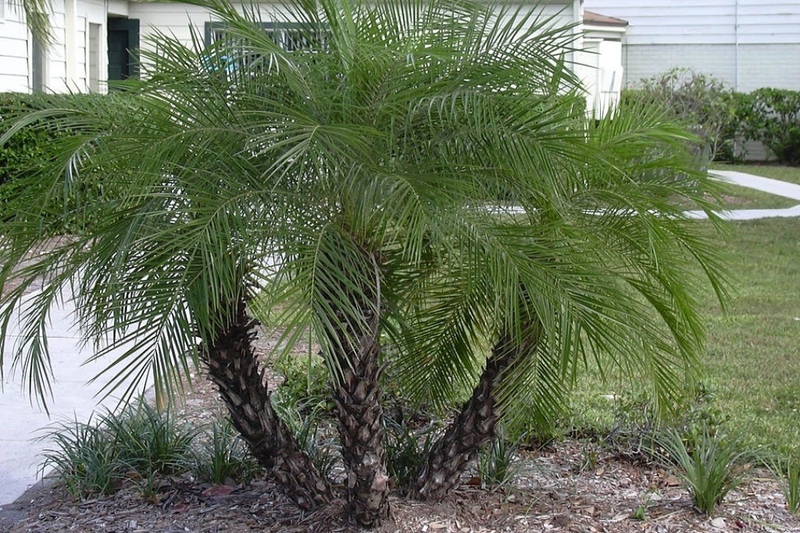 A species of date palm native to southeastern Asia. In temperate climates it is grown as a houseplant. As such, it is fairly easy to grow : it just requires full light, and lots of water from spring to summer, and considerably less from autumn through winter. In the open ground, plant in spring in a spot sheltered from the wind, warm, drained, fresh, rich, in semi shade. Dig a hole three times the size of the root ball, and plant without burying the base of the stem. Tamp the soil well while you put it back in the hole. Do not mix the soil layers. Form a large hollow, and water with at least two watering cans. In pots, plant in loam mixed with potting soil, and put gravel at the bottom of the tank for good drainage. Choose a pot as large as possible. In April-May, take out your pots sheltered inside for the winter: find a location sheltered from drafts! The butterfly larva Paysandisia archon is currently active in some warm areas, and digs galleries in the plant. Cut and burn, or a treatment with nematode Steinernema carpocapsae, as a preventive, is possible between March and November.